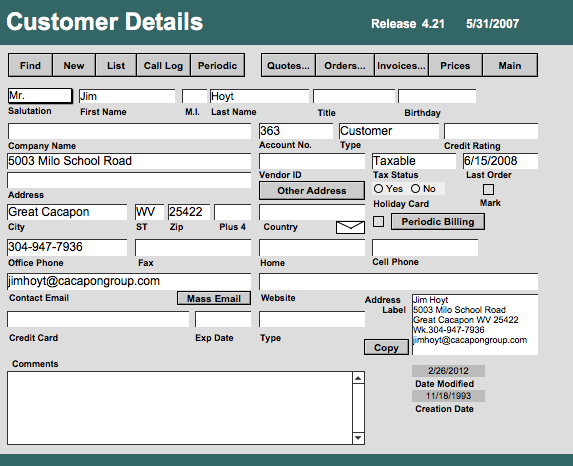 The Customer file stores all the contact information for each client, vendor, or other contact. An integrated call log lets you keep track of interactions. You can also generate mailing labels and emails.